If your windows are hard to roll up and down, they will need a good cleaning. The window seals have a dry powder that lets the window slide easily and not stick. After time this wears off, degrades, or is cleaned off by mistake. The window seals also fill up with dust and dirt that should be cleaned. The motor regualtors are filled with grease which also attracts dirt and debris and after 20+ years. They could use a cleaning and fresh grease as well. 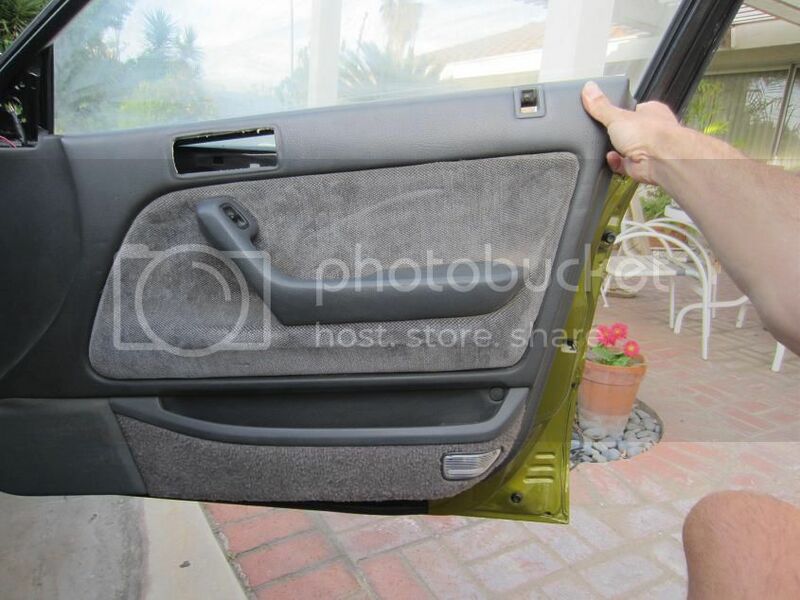 Start out by removing door panels. 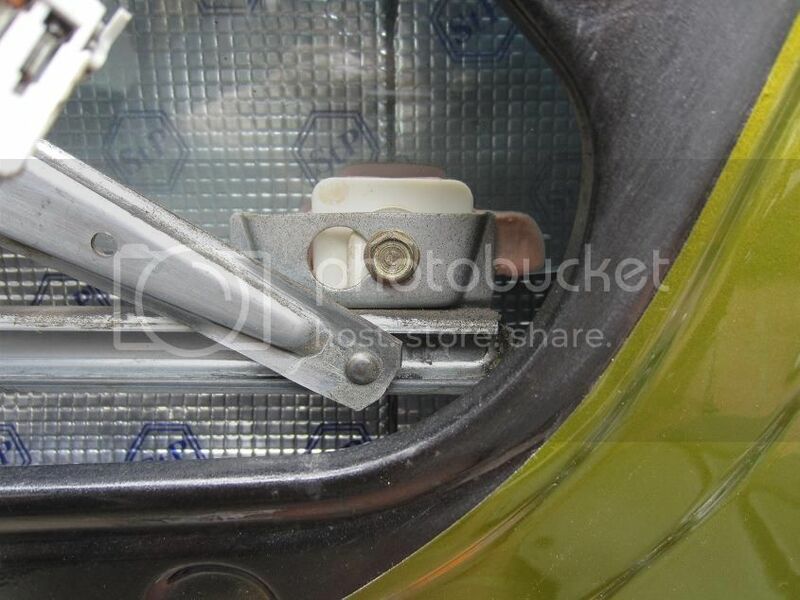 1)Use small flat screwdriver and pop out the clip in the upper front corner. 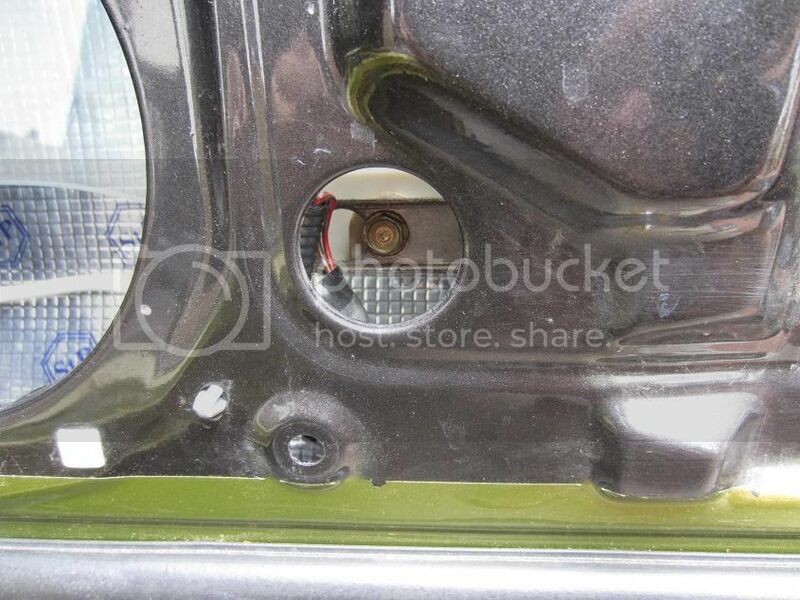 2)Use a small flat screwdriver and pop up the screw cover in lower rear of panel and remove the philips screw. 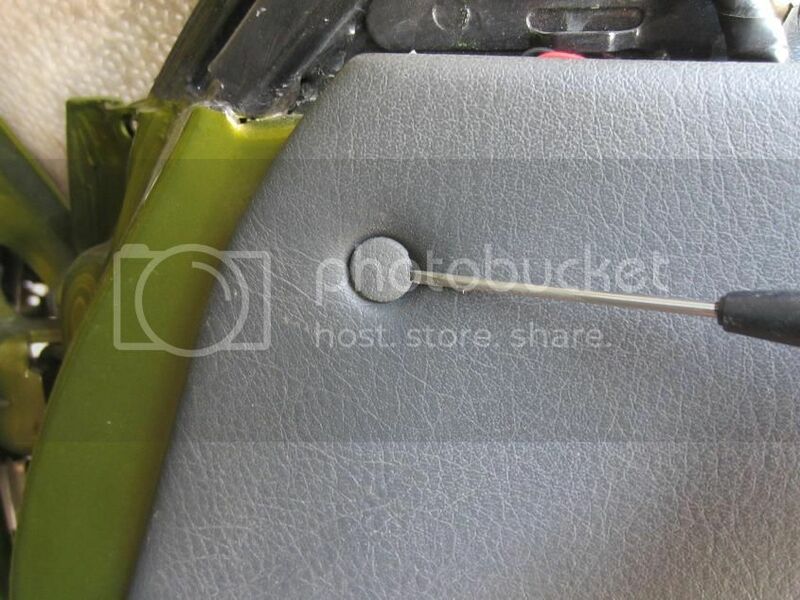 3)Use a small flat screwdriver to remove screw cover from armrest pull and remove philips screw. 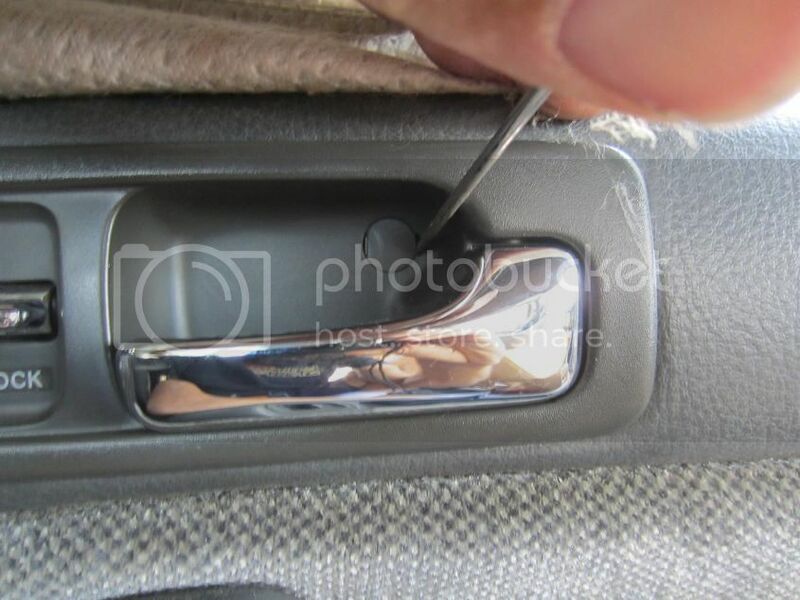 4)Use a small flat screwdriver and pop up the screw cover behind the pull handle and remove philips screw. 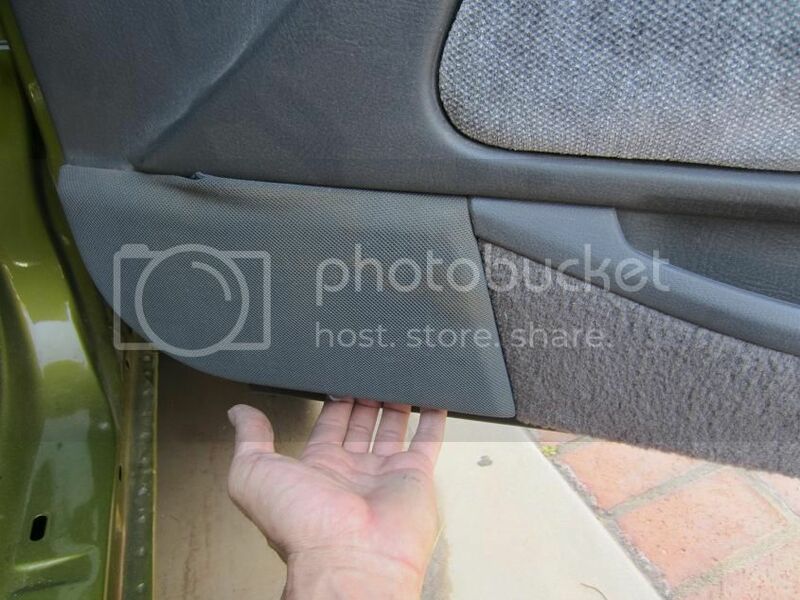 After all fasteners are removed, remove panel by pulling with your hands starting at the front and rear bottom of the panel. 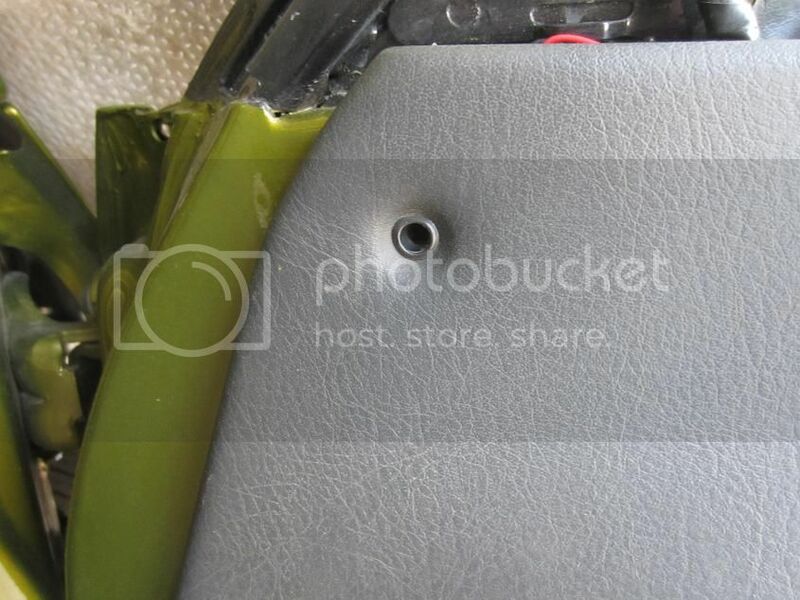 After the clips are released, push upward from the rear to unhook the top of the panel. 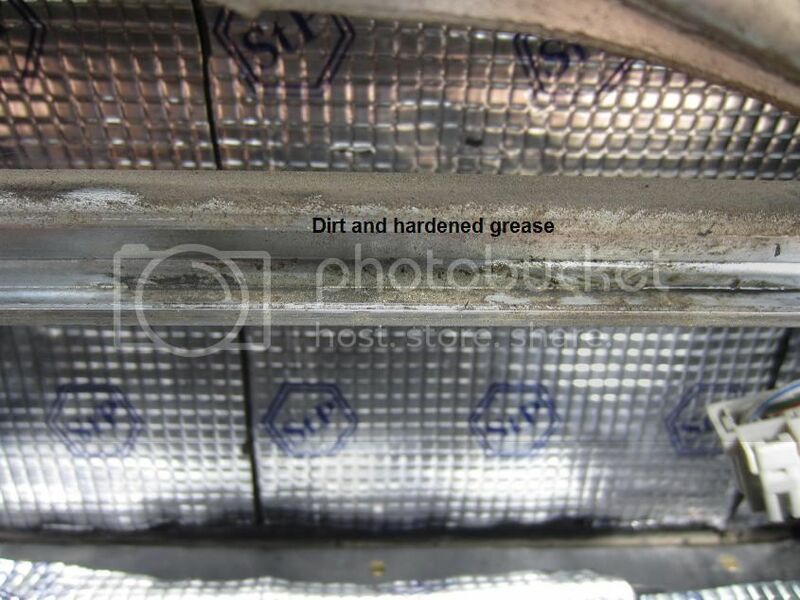 Remove the vapor barrier. Remove 4 Philips screw holding speaker cup to door. Roll window up. Remove the front and rear window lower track guide M6(10mm Head) bolts. 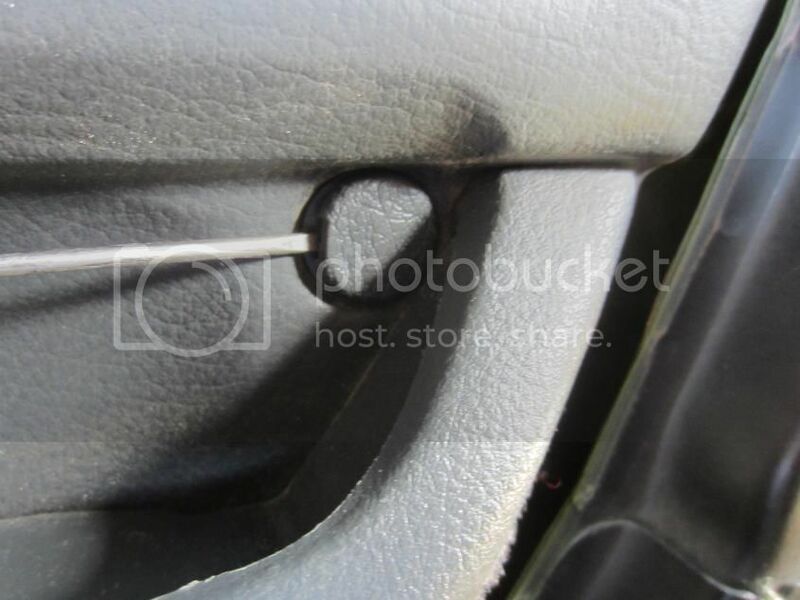 Slide tracks downward to unhook and then slide inwards off of the window rubber. 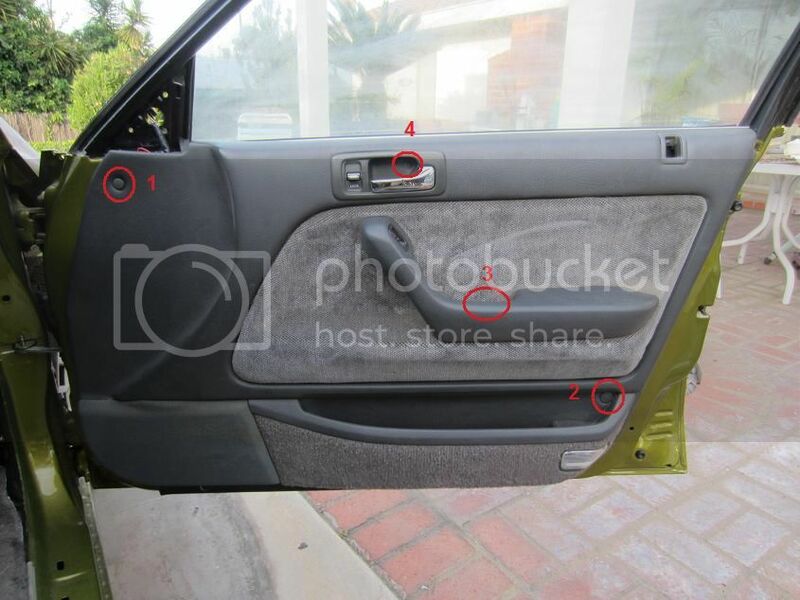 Roll window down, then slide window seals upward out of door frame. Next pull downward to release seal from upper door frame and remove completely from door. 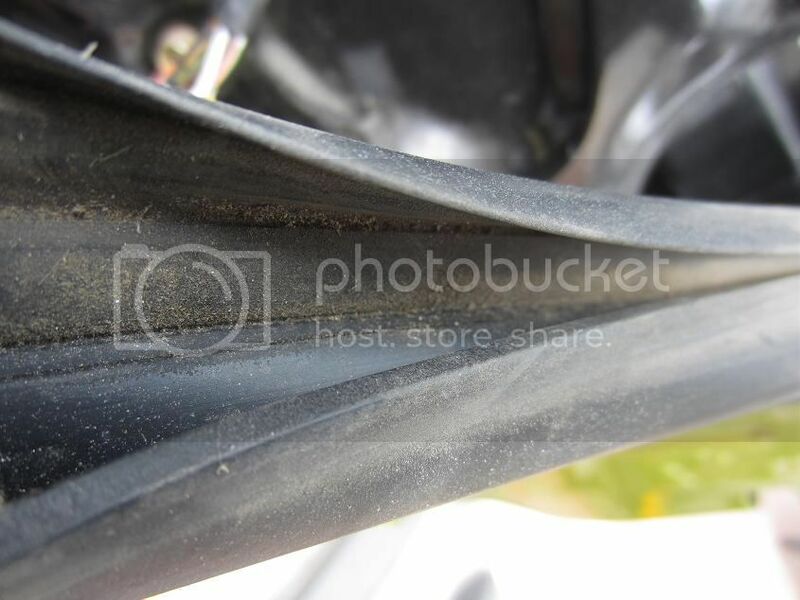 Check the out the dirt in the seals then take a damp terry cloth and wipe rubbers until clean. Afer the seals are clean, it is time to make them shiny new. Use Honda Shin Etsu grease and coat the window seal. Make sure to get the inside also(anywhere the window can touch). Allow a little time to let the grease soak in and then reaplly grease a second time. 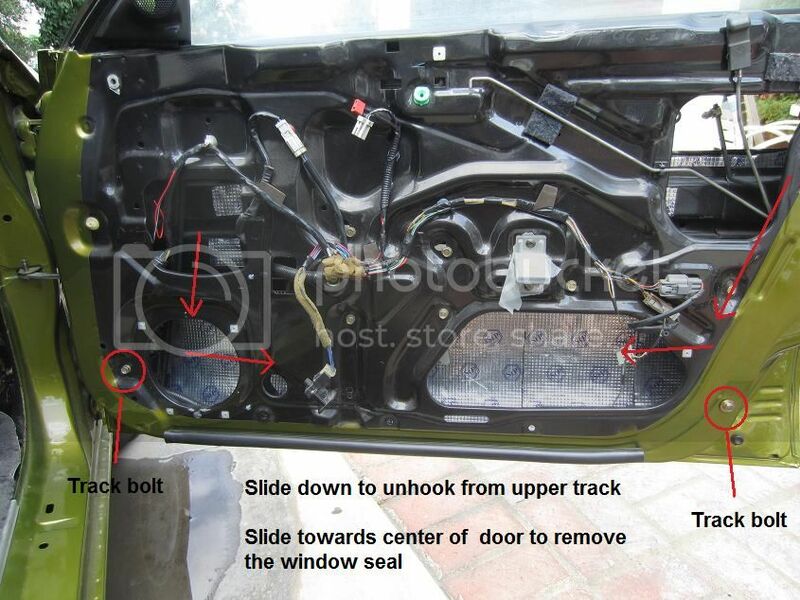 Roll window into position to expose the window mounting bolts. 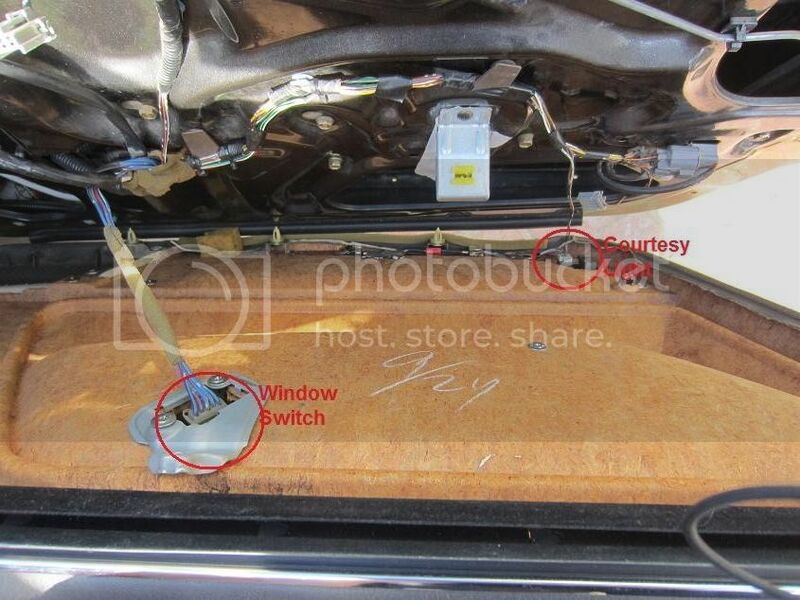 Loosen the 2 M6 bolts and an slide window carrier over to release window. Carefully extricate window from door. After the window is removed, roll up the window (which is no longer there) so the the regulator is at its most compact size. 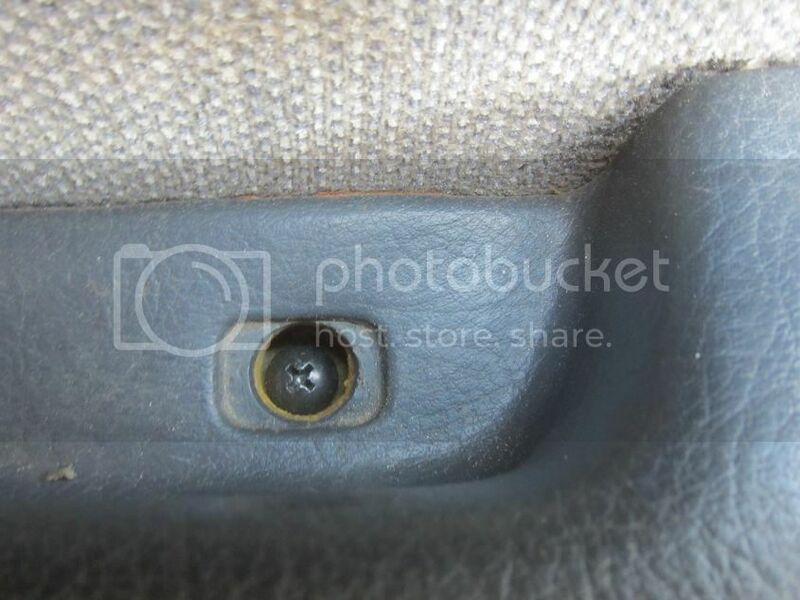 Mark the adjustble rear bolt so it can be reinstalled in the same location later. Remove the 6 m6 bolts holding the regulator to door. Carefully remove the through the door frame. If you set the regulator at its most compact size it should come out easily. Make sure you dont bang against outside of the door or you could end up with dents. 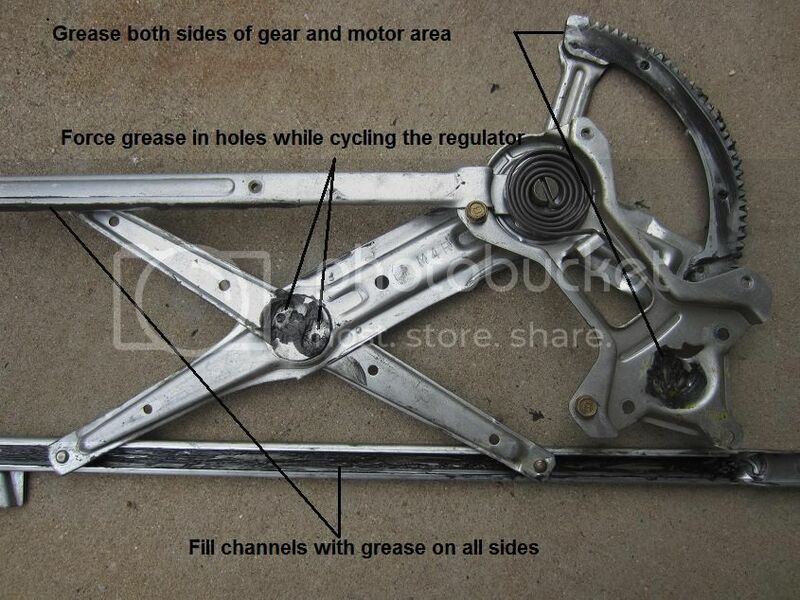 Now wipe out the existing grease and dirt from slides and around the motor. Some of it may be hardened and caked on which definatley need to cleaned off. With it all clean, reapply grease to the areas you cleaned. Also grease the scissor center pivot. This is hard since it does not come apart but there are two holes. Force grease into these two holes with a finger while simultaneously moving the regulator back and forth to work grease in. When finished regreasing, move the regulator back and forth without motor, it should move almost effortlessly. Once good, reinstall motor on regulator and reinstall regulator in car. Roll up and down regulator without window to make sure it moves without any issues. Reinstall window seals and window. Be very carefull since it will now slide with little effort. Roll up and down window, it should work like almost new. I'm guessing that you con only buy the grease from Honda, right? Also is this safe for inted windows? I know some grease will cause the tint to peel. I need to do this to all of mine, as none roll up or down smoothly. its just silicone grease any will do. i think the permatex dielectric tuneup grease is also silicone. but any will do as long as its silicone grease. it should not harm your tint as this stuffs pretty inert, they have a food grade version and use it in like meat grinders and the valves for the ice cream machines at mcdonalds . 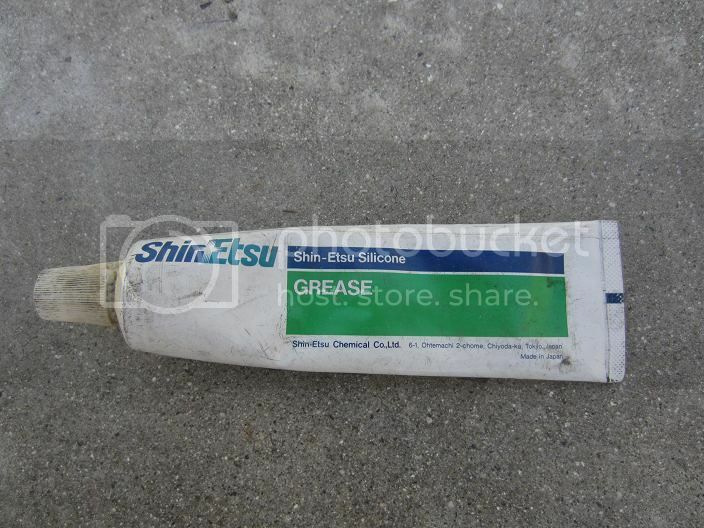 just dont use petroleum grease, itll eat the rubber up or turn it to mush after a while. I actually just did this this last weekend. Awesome write up! looks like a weekend project! 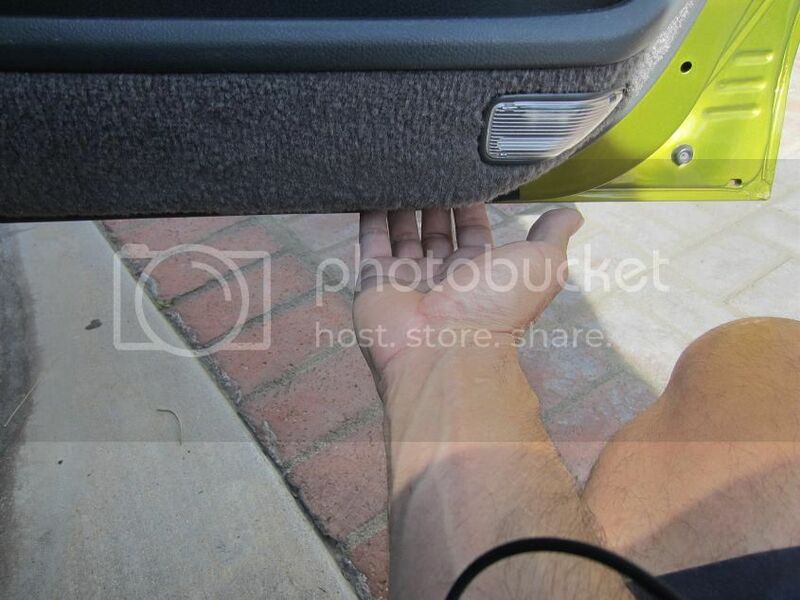 Will this work on a window that not only rolls up/down slow, but will not roll all the way up? It's worth a shot. 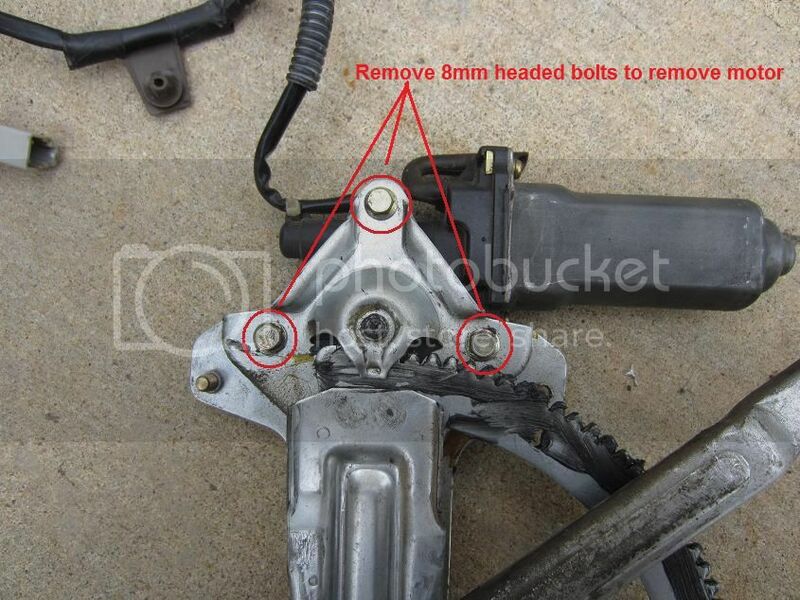 I'll be doing this to my new scoot around 92 LX shortly along with a right rear regulator replacement. 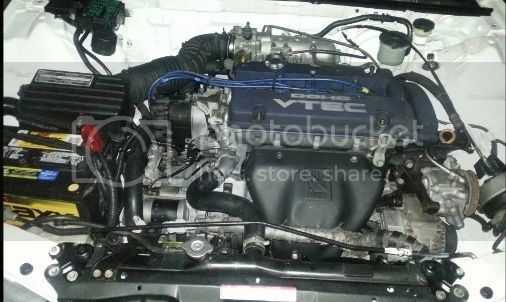 Nice writeup Lucifer, what is your estimate on revealing your completed CB7? She looks to be going together nicely! 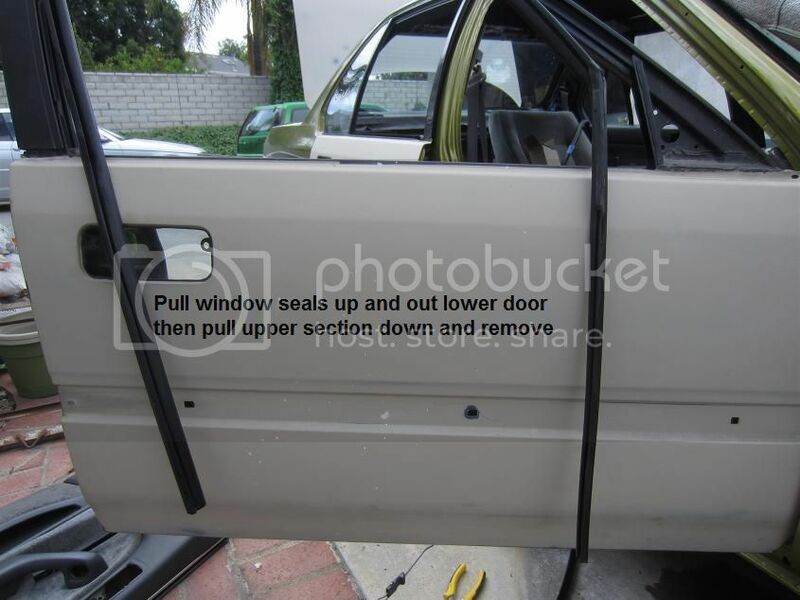 great DIY I have to do this on both of my front windows. 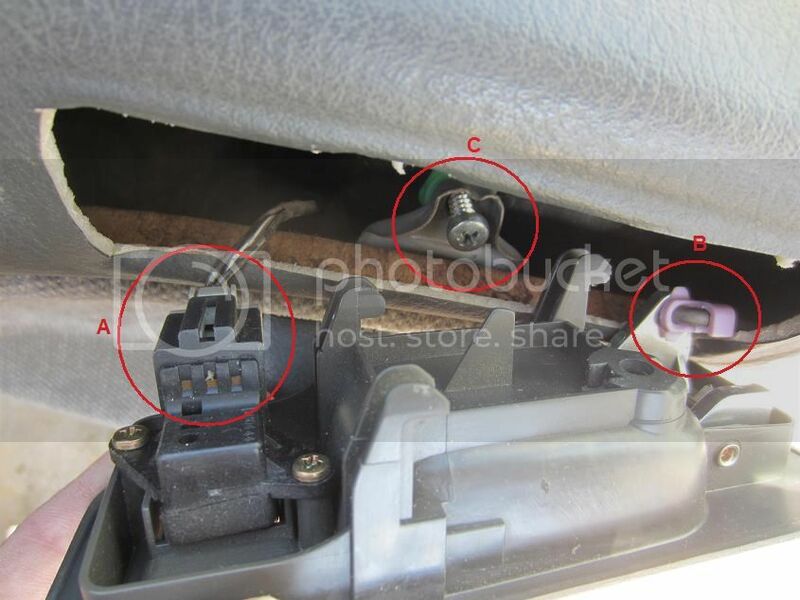 I need to replace the driver side door weatherstrip and window track. I hate the way it bunches up in the corner for being so old. 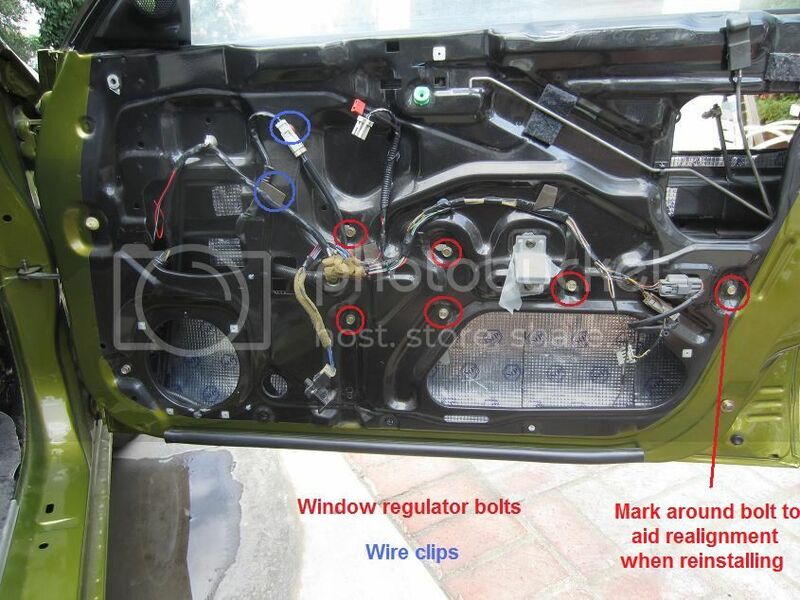 thanx for the write up, i've been spraying wd40 on the seals (the part the window touches) and really hasn't worked. 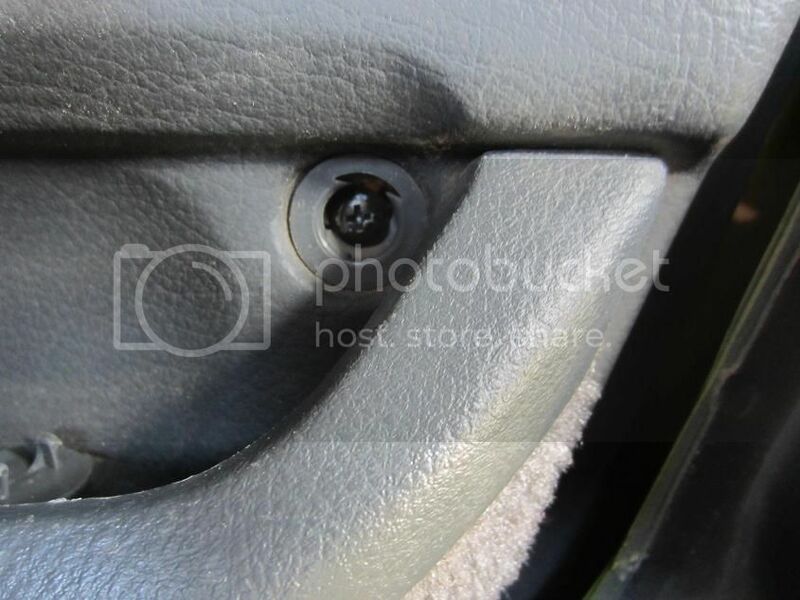 question, if i do this would my driver panel (black strip that runs across the top that touches the window) stop flipping into the panel, which causes me to roll up and down a few time til my window is fully down, every time i roll it down? WD-40 is not a lubricant, it's a water displacer, hence WD. You have to put some sort of silicone grease in there, spray lubricants don't work either. If you clean the whole seal around the window, it will stop the piece from flipping.